VNRE – On the occasion of Singapore’s 46th National Day (August 9, 1965 – August 9, 2011) and the 38th anniversary of the establishment of diplomatic relations between Vietnam and Singapore (August 1, 1973 – August 1, 2011), reporter Dang Yen interviewed Mr Simon Wong Wie Kuen, Ambassador of the Republic of Singapore to Vietnam, on the progress in bilateral relations between the two countries. What is your evaluation of the progress in bilateral relations between Vietnam and Singapore over the years? Since the establishment of diplomatic relations between Vietnam and Singapore on 1 August 1973, bilateral relations have progressed rapidly, underpinned by excellent political and economic relations. Politically, there are frequent high-level exchanges by the leaders of both sides. Last year, Singapore Prime Minister (PM) Lee Hsien Loong visited Vietnam on three occasions. In particular, PM Lee’s official visit in January 2010 was a chance to showcase the notable achievements made by both countries in strengthening bilateral cooperation. 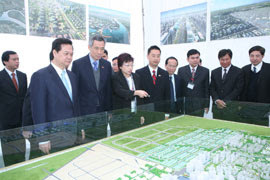 PM Lee and PM Nguyen Tan Dung co-witnessed the ground breaking of the newest Vietnam-Singapore Industrial Park (VSIP) in Hai Phong city and the award of a branch licence to the Development Bank of Singapore (DBS). In 2010, Singapore was the largest foreign investor in Vietnam with cumulative investments of nearly US$23 billion in 900 projects. In addition, bilateral trade achieved an overall four-fold increase since 2000 to reach US$10.1 billion in 2010. In 2009, Singapore was Vietnam’s 5th largest trading partner. Relations have now extended beyond the political and economic spheres to include other important areas such as defence, education and human resource development. Defence ties received a boost with the signing of the Defence Cooperation Agreement by the leaders of both sides in September 2009. In the area of human resource development and training, the Ministries of Foreign Affairs of both countries signed a Memorandum of Understanding (MoU) to provide training for middle- to senior-level officials from the Communist Party of Vietnam (CPV). I am delighted to note that the first run of the course was conducted successfully earlier this year. I will continue to play my part to build on the excellent bilateral relations and to explore new and creative opportunities to enhance the bilateral relationship. Singapore has consistently ranked as one of the top countries in Asia and the world for the good quality of its institutions and its competent macroeconomic management. What are some useful lessons which Singapore can share with Vietnam in these areas? Sound economic management, which involves sound monetary policy combined with appropriate fiscal policy, is crucial to ensure macro-economic stability. To achieve sustained growth, structural policies are also important to ensure that our economy can meet the challenges brought about by demographic changes, technological advancements and globalization. Macro-economic policies cannot work in isolation and an over-reliance on any specific policy instrument can result in unintended consequences. Singapore’s sound economic management reflects in part the judicious mix of policies the government has pursued. For instance, during the financial crisis in 2009, the monetary policy responses adopted by the Monetary Authority of Singapore (MAS) were deliberately graduated and underpinned by the objective of promoting price stability in the medium term. We did not react to every single development in the economy or the financial markets, as this would have introduced unnecessary volatility and uncertainty. MAS responded to the deterioration and subsequent recovery of external demand by allowing the Singapore dollar to depreciate and appreciate respectively. At the same time, because of our fiscal prudence achieved by a policy of spending within our means and maintaining a stable and diversified base of revenues, we were able to deploy the US$16.8 billion Resilience Package to encourage the domestic economy. Fiscal prudence combined with the effective use of monetary and fiscal policy instruments during the financial crisis is something that I think Singapore can share with Vietnam. A healthy trade balance is also important in pursuing sustained economic growth. Singapore’s economic diversification policy has played a part in ensuring that our exports continue to grow and maintain a healthy trade balance. In terms of industry structure, Singapore has maintained a globally competitive manufacturing sector producing high value-added goods, while at the same time it has built up the competitiveness of its services sectors, including export-oriented ones like tourism and financial services. Singapore has also diversified its sources of external demand to reduce reliance on any one particular market. What are, in your opinion, some notable achievements in economic cooperation made by both countries after the implementation of the Connectivity Framework Agreement? The Connectivity Framework Agreement serves as an overarching platform for bilateral economic cooperation. Since coming into force in early 2006, Connectivity has achieved good progress in all six sectors of cooperation: (i) education and training, (ii) finance, (iii) information technology and telecommunications, (iv) investment, (v) trade and services, and (vi) transportation. 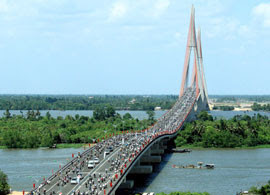 Since its implementation, Connectivity has successfully facilitated several private sector projects in Vietnam, and directly or indirectly contributed to nearly US$14 billion worth of Singapore’s registered investments in Vietnam. 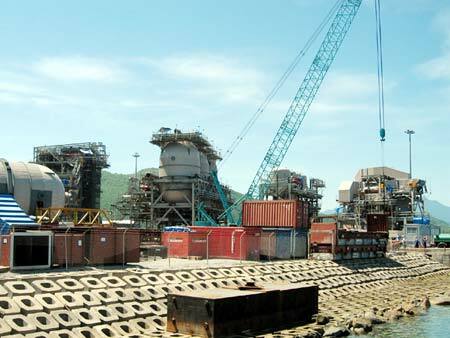 Some of the more notable projects facilitated under Connectivity include the development of the Vietnam-Singapore Industrial Parks (VSIPs), PSA’s joint venture project with Saigon Port to build and operate a deep-sea container terminal in Ba Ria-Vung Tau province and the establishment of branch offices by our banks (DBS, UOB and OCBC) in Vietnam. Other significant investments are in the industrial/tech parks (Ascenda-Protrade’s 500 hectare Tech Park in Binh Duong), real estate (e.g. Keppel Land, Ascott Group, and CapitaLand), healthcare (e.g. Parkway Health’s US$770 million hospital project in Ho Chi Minh City and Thomson Medical Center’s project for Protrade’s Hanh Phuc International Women and Children Hospital), and hospitality (e.g. Banyan Tree’s investment in a world-class hospitality project on Lang Co Beach in Thua Thien-Hue province). Over the years, education and training cooperation between Vietnam and Singapore has further strengthened and now forms one of the key pillars of the bilateral relationship. How would you assess the cooperation in recent times? Education and training has been identified as one of the six key pillars of cooperation under the Connectivity Framework Agreement. Singapore and Vietnam have also signed a Memorandum of Understanding (MOU) on Educational Cooperation in April 2007. There have been various initiatives since then, notably, the Vietnam-Singapore Centre for Educational Excellence (VSCEE) which was jointly set up in March 2008 by Singapore’s National Institute of Education (NIE) and Vietnam’s National Institute of Education Management (NIEM) to focus on leadership training for school principals and professional development for education administrators. The Singapore Scholarship and ASEAN Scholarship are offered to Vietnamese students to study in schools and universities in Singapore. We have also established links at the tertiary level through MOUs, staff and student exchanges, training and visits. For instance, in March 2011, the National University of Singapore’s School of Computing (NUS SoC) co-organised the 3rd NUS SoC Vietnam Research Workshop in Hanoi with Hanoi University of Science & Technology (HUST). There is also an ongoing school twinning programme between 13 pairs of schools from Vietnam and Singapore which has yielded rich learning experiences for the teachers and students. Furthermore, with the sponsorship of the Estate of Tan Sri Khoo Teck Puat administered by Singapore MOE, the SEAMEO Regional Language Centre (RELC) in Singapore recently welcomed the 9th batch of 30 English Language teachers from Vietnam in early June for an English training course. I am confident that our education cooperation will continue to grow from strength to strength. Tourism is one of the areas where there is great potential for both sides to further advance the bilateral economic relationship. What is your evaluation of the current level of cooperation in this sector, as well as further prospects for tourism cooperation between Vietnam and Singapore? Singapore and Vietnam have traditionally shared close ties in tourism cooperation. Since the signing of the Singapore-Vietnam Tourism Cooperation (SVTC) Agreement in 1994, there have been regular exchanges and meetings between the Singapore Tourism Board (STB) and Vietnam National Administration of Tourism (VNAT) as a way of sharing expertise in tourism development. I am pleased to note that the next SVTC meeting will be held in Vietnam in the third quarter of 2011. Vietnam is blessed with a magnificent natural environment, wonderful culture and a long and beautiful coastline. The natural beauty of the limestone karsts of Ha Long Bay in the north, the ancient cities of Hoi An and Hue in central Vietnam and the beautiful beaches of Nha Trang and Mui Ne in the south, are but a few examples of the sights in Vietnam which excite tourists the world over. It is no wonder that Singapore companies are eager to play their part in the development of Vietnam’s tourism landscape, as signalled by Banyan Tree’s US$900 million investment to develop a world class resort project in Lang Co Beach. Going forward, there are many other areas where Singapore can cooperate with Vietnam in the tourism sector. Cruise tourism is an example. At the invitation of VNAT, STB had undertaken two trips to Vietnam in 2009-2010, to study the potential for the development of ports in Vietnam for cruise tourism, and the attractiveness of various points in Southeast Asia as cruise destinations. There is scope for closer collaboration between STB and VNAT in building ports of call along Vietnam’s long and beautiful coast, so that Vietnam is able to benefit from developing its maritime tourism and cruise industry. Singapore remains one of the largest investors in Vietnam. What are the crucial factors which have attracted Singapore investors and investments to Vietnam? Singapore investors have been attracted by Vietnam’s strong economic growth over the past decade. Despite the global financial crisis in 2009, Vietnam’s economy rebounded strongly in 2010 with GDP growth of 6.8 percent. Vietnam has also successfully attained Middle Income Country status. Combined with its strong annual economic growth of more than 7 percent since 2000, Vietnam has become an attractive destination for Singapore investors. Vietnam’s abundant natural resources and human capital are also key factors in attracting investors there. Located within a 3-hour flight radius from Singapore, Vietnam is easily accessible by Singapore companies through numerous daily air services. This has enabled Singapore companies to be well-linked to their investments in Vietnam. The Vietnamese government’s continued efforts to create a more conducive business environment have enticed our companies to invest in Vietnam. Singapore investments are also encouraged by the strong bilateral relations shared between Singapore and Vietnam, particularly the strong economic cooperation facilitated through the Connectivity Framework Agreement. Furthermore, Vietnam’s increasing efforts to integrate with the global economy through its participation in international organizations and free trade agreements have enhanced Vietnam’s attractiveness as an investment destination. VNRE – Vietnam wants Japanese businesses to increase their investment in the country through the form of public-private partnership (PPP). Vietnamese Deputy Minister of Planning and Investment Dang Huy Dong expressed the desire while speaking at the Vietnam-Japan Investment Forum held in Tokyo on July 22. He said, from now to 2020, Vietnam would need a major source of investment to develop the country’s infrastructure, estimated at US$16-17 billion per year, while the capital investment from traditional channels only would meet 50-60% of demand. As a result, the pilot scheme for investment under the PPP form was approved. This was one of the key policies of the Vietnamese Government aiming to create a legal corridor for attracting more sources of investment from the private sector for developing infrastructure and public services in Vietnam. The Deputy Minister said the Vietnamese Government expected to successfully implement PPP, attracting not only capital sources but also advanced technologies and effective management experience from the private sector. He expressed hopes that Japan, as a strategic partner of Vietnam, would continue to closely co-operate with the country to successfully deploy the PPP programme, affirming that the Vietnamese Government always highly valued the efficiency of investment capital from Japanese investors. Responding, Japanese Deputy Minister of Land, Infrastructure, Transport and Tourism Naoyoshi Sato said the Japanese government is considering joining in the PPP projects. He also highlighted some of Japan’s strong points on technology and experience in the fields of high-speed railways, sewage treatment and rubbish recycling. At the event, which was jointly held by the Vietnamese Ministry of Planning and Investment (MPI), the Mainichi Daily News and the Nikkan Kogyo Newspaper of Japan, representatives from Vietnam informed Japanese businesses about regulations related to investment activities under the PPP form, its potential in Vietnam as well as some trial PPP projects in transportation, energy and urban infrastructure. According to MPI, by June this year, 1,552 projects of Japanese businesses were valid in Vietnam, with a total investment of US$21.3 billion. Japan was the fourth-largest investor out of 93 countries and territories investing in Vietnam. VNRE – Though the global real estate market cooled down after the economic crisis, international real estate developers have still been pouring their capital into Vietnam. This explains why real estate remains the sector which has been attracting most of the foreign direct investment. In the last two years, the foreign direct investment (FDI) in the real estate sector in Vietnam has been decreasing sharply after reaching its peak in 2008 with the total registered capital of $23.6 billion, accounting for 39 percent of the total investment in Vietnam. In 2009, the registered capital for real estate project dropped to $7.6 billion. The latest report by the Foreign Investment Agency under the Ministry of Planning and Investment shows that by the end of the third quarter of 2010, foreign investors had disbursed over eight billion dollars for the projects in Vietnam. The scale of every real estate project remains relatively big, at 144.9 million dollar per project. A lot of foreign investors remain brave enough to pour more capital into Vietnam’s real estate market. Capitaland Vietnam, for example, has joined forces with Mitsubishi Estate Asia (MEA) and GIC Real Estate under GIC investment fund belonging to Singaporean Government to set up a joint venture with the total investment capital of $215 million. 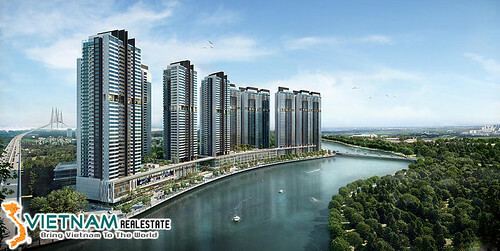 The joint venture plans to focus its investment in high grade apartments in HCM City and Hanoi. The joint venture will develop a high grade apartment project in Mo Lao new urban area in Ha Dong district in Hanoi. This will be a four-block apartment project which comprises 960 apartments. Besides, there will be another project with 962 apartments in district 2 in HCM City and a series of big shopping malls in the two big cities. Indochina Capital has announced it is raising about $180 million in funds which it will invest in the high end housing market in Vietnam. The investment fund is also planning two other investments in Vietnam’s real estate market, including the sum of $190 million in HCM City and $533 in Hanoi. Malaysian Gamuda Land Group has bought back 60 percent of stakes ($82.7 million) of a project in HCM City developed by Saigon Thuong Tin Tan Thang Loi Real Estate Corporation. Meanwhile, South Korean Daewon Group has decided to join forces with a domestic enterprise to develop a project capitalized at $120 million. 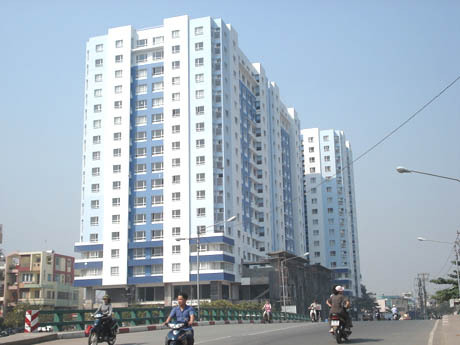 Analysts believe that the development potentials in Vietnam’s real estate market remain very big. In Hanoi, every year, accommodation projects provide 1.2 million housing square metres, while the figure is 3.5 million in HCM City. In total, 2500 housing projects and new urban areas projects, covering an area of 80,000 hectares, are under implementation. Though Vietnam’s real estate market has been very hot with a series of investment projects which require huge sums of capital, real estate developers have been relying mostly on commercial bank loans. Therefore, many property projects would have be delayed once banks tighten their credit policies. Analysts have called on the state management agencies to apply necessary measures to control the foreign capital flow to the domestic market in order to ensure that the market can develop in a sustainable way. Some days ago, HDReal, a real estate trade and development company joined forces with Saigontourist, a travel firm, to carry out a marketing programme in Japan, where Vietnamese investors emphasized that Vietnam is really a good investment destination for real estate developers, especially in the fields of tourism and resort real estate. The forum attracted the participation of 130 delegates from Vietnam and Japan, including representatives from big Japanese groups such as Mizuho Bank, Development Bank of Japan, Capital Partners, Sumitomo Mitsui, Nomura, Orix, Kanematsu, and Hasegawa. At the forum, Saigontourist and HDReal introduced 12 projects on hotels, resorts, complexes which are seeking capital. According to Vu The Binh, Director of the Travel Department under the Vietnam National Administration of Tourism, in 2010, 4.5 million foreign tourists arrive in Vietnam, up by 38 percent over 2009. Vietnam now has 210,000 hotel rooms. As such the demand for tourism accommodations such as hotels, resorts is very high. VNRE – Foreign realty groups and asset managers are pouring into the national property market. After hitting $23.6 billion in registered investment capital in 2008, foreign direct investment (FDI) capital into Vietnam’s real estate sector started slowing down. By the end of 2009, total FDI registered capital flowing into the sector was only $7.6 billion. In the first 10 months of 2010, the capital was only $2.7 billion. The gradual decreasing of registered FDI capital mostly caused by the global financial crisis which occurred in 2008. Market analysts however said the slow-down trend could be changed. 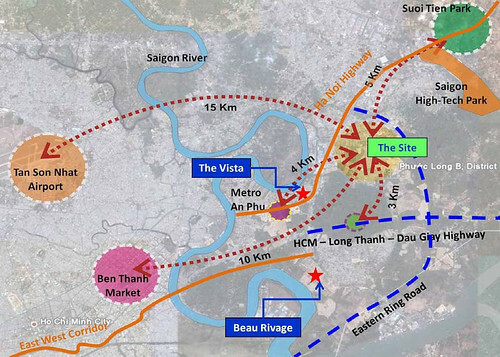 To underscore the trend Indochina Capital last week announced that it would put the newest private fund, Indochina Land Holding 3 (ILH 3) with $180.3 million of total capital commitments to rapidly invest on urban and suburban residences and mixed-use developments in Hanoi and Ho Chi Minh City. “In the context of global real estate investment, Vietnam’s residential property market has demonstrated attractive domestic demand dynamics, supported by the country’s long term fundaments,” said Ryder. Ryder said the company planned to raise two new investments, one in a $190 million project in Ho Chi Minh City, and the other in a project worth around $533 million in Hanoi. The ILH 3 is Indochina Land’s third private, closed-ended Vietnam property fund and brings total funds under management to nearly $500 million. Meanwhile, CapitaLand last week announced its new real estate subsidiary, CapitaLand Vietnam Investments Pte. Ltd, a $200 million joint venture to invest in residential developments in Ho Chi Minh City and Hanoi. The joint venture’s partners are Mitsubishi Estate Asia – a wholly-owned subsidiary of Mitsubishi Estate Company Limited and an affiliate of GIC Real Estate, the real estate investment arm of Government of Singapore Investment Corporation. CapitaLand (Vietnam) (CVI) will take up a 50 per cent stake in the joint venture, while the balance will be held in equal proportions by MEA and the affiliate of GIC Real Estate. 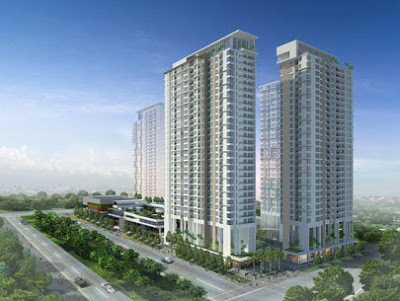 In another case, Malaysia-backed Gamuda Land has bought a 60 per cent stake in Sacomreal’s $293 million Celadon City in Ho Chi Minh City’s Tan Phu District. Binh Thuan provincial people’s committee also issued an investment certificate to British West Indies-backed Birch Hill with its plan to develop the $475.8 million Birch Hill complex in Phan Thiet city. VNRE – Japanese and Singaporean real estate companies announced a joint project to invest in the housing market in Vietnam on November 25. They plan to construct four residential complexes covering 14,000 sq. metres in Hanoi and 962 units in Ho Chi Minh City and also expect to invest in commercial facilities in the near future. The total investment capital of the venture is expected to reach US$215 million, with 75 percent of the total coming from two Singaporean real estate firms, including CapitaLand Company and the real estate investment division of Singapore’s sovereign wealth fund, GIC. The Japanese company Mitsubishi will contribute 25 percent of the investment capital.